It sometimes seems to me that I pretty much live in anticipation of each successive beauty collection from my favourite brands and while I know that part of the reason is due to the marketing machine at work, the other component is that I’m really just that passionate about makeup. Add to that my romanticism with the holiday period, and we’ve got the makings of the perfect storm … but in the best way possible. Enter Dior’s Precious Rocks Holiday 2017 Collection, inspired by luxurious gems + the urban rock edge of today’s woman. 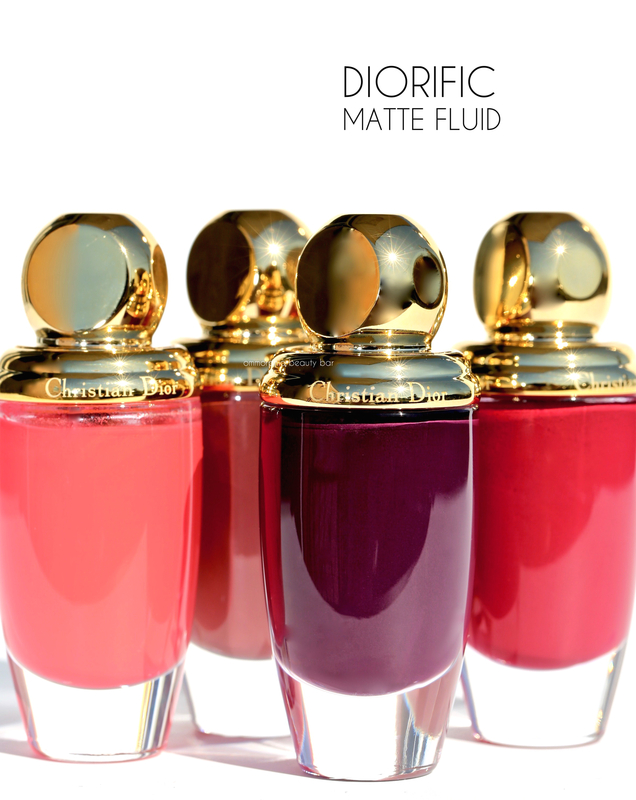 First out of the gate are Diorific Khôl and Diorific Matte Fluid — let the party begin. 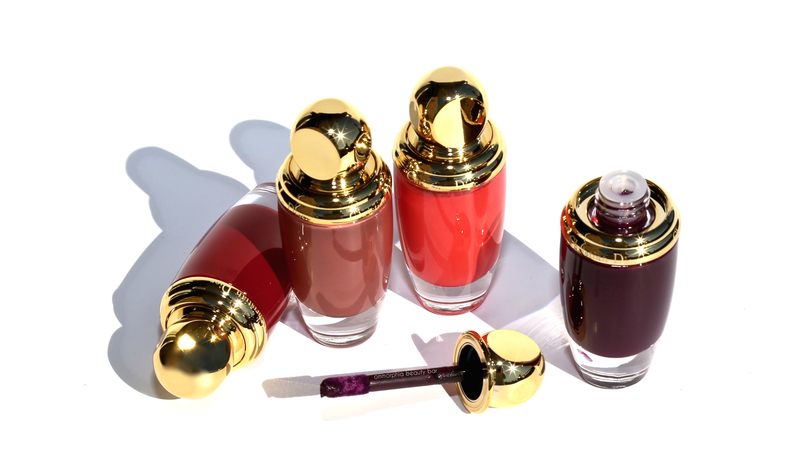 Diorific Khôl 991 Bold Amethyst (CAN $46.00) | Dior’s holiday packaging is something, no? 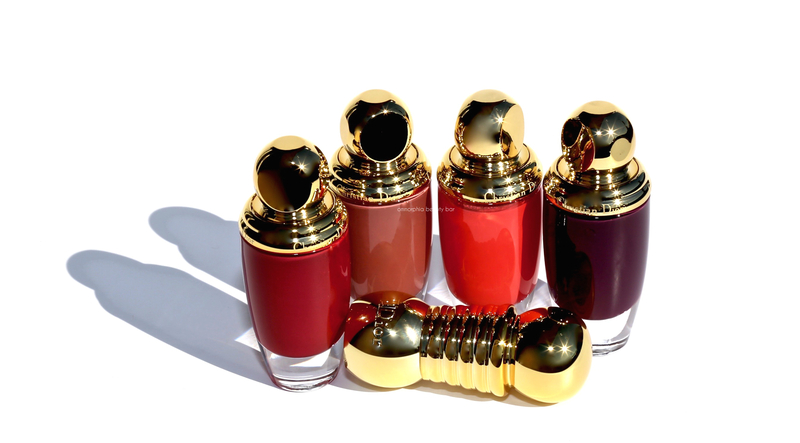 With an exterior that looks suspiciously like a precious gold mini-barbell, I naturally assumed this was a lipstick, but then the word ‘khôl’ threw me off and I thought it was meant for the eyes. Then I read the press release and realized that this was indeed a lip product! 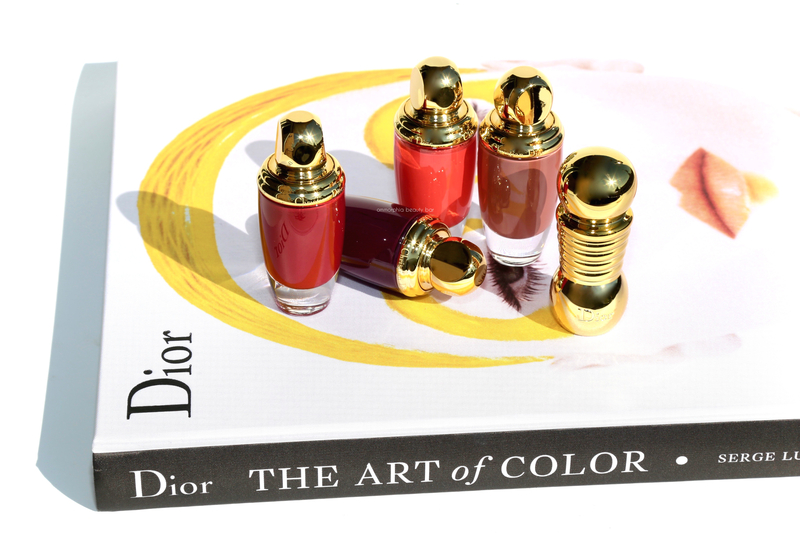 The first of its kind, the Diorific Khôl (available in 5 shades) “holds the promise of ultra-precise application and intense, powdery-matte long-wearing colour”. The creamy wax formula is made with a high dose of pigments and has plant-based butters for a softening effect and a velvety finish. Note: the shade I received, 991 Bold Amethyst, is a lush deep mulberry hue that is quite editorial-looking when worn at full intensity, but can also be worn dialled down by blotting the excess first, turning it into a really stunning lighter version of itself. I do have two other shades in this format, but unfortunately did not have them in time to shoot for this post. 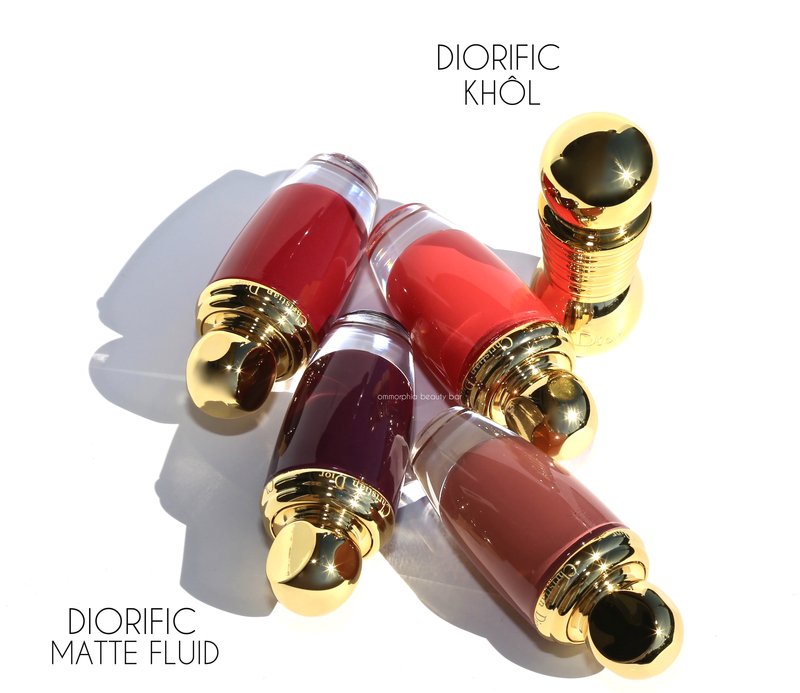 Diorific Matte Fluid Lip & Cheek Velvet Colour (CAN $47.00/each) | I was really excited to see these as I believe several shades were first launched with the Fall Collection, but never made it to Canadian counters (why, Dior?) and so I really had no idea what they were all about. I hate not knowing, by the way. Meant for use on both lips and cheeks, the Diorific Matte Fluids are a multi-tasking take on the ubiquitous liquid lip products that are available from basically all brands by now. Available in four shades, they come with the brand’s golden holiday packaging (so adorbs) and a flocked applicator for ease of use. Interestingly, these do not bear Dior’s signature fragrance — which would have actually been welcome here; instead, they have this rubbery/synthetic scent which to be honest, is rather off-putting at first whiff (I smell ALL products before they come near my face), but thankfully it seems to dissipate soon after application. I’m guessing it has something to do with the ingredient set-up, although I do hope if the brand keeps these in line, that they address this point. The texture is creamy and lays down with opaque coverage from the first swipe, but can also be layered up if need be. As to the finish, they are definitely not matte in the true sense of the word, as they never completely dry down and boast a light sheen as well. More along the lines of velvet, the colour lasts well through both eating & drinking (but with obvious wear) and also keep lips more hydrated feeling than a full-on matte would. Applied as blush — a little really does go a long way so proceed with care — they blend out beautifully and provide a believable flush of colour that seems to fuse with your skin (as opposed to powder blush that basically sits at surface level), with great staying power, especially over foundation and/or primer. EDIT: Since I originally wrote this post, I tried a little experiment; by allowing these to air out a bit, the issue with the fragrance has disappeared and I’m happy to report that they are in fact completely in line with the rest of Dior’s products – insert ∗happy dance∗ here. There’s no question that Dior knows how to make exquisite packaging (just look at these: enough said), but that’s just one of the elements I look for. As far as quality, it’s easy to see that much thought has gone into the creation of these products. The Khôl is intriguing both in terms of looks and finish and I can’t wait to experiment with the 2 other shades I have. As to the Matte Fluids, I’m so glad I finally got my chance to try them out because I do so love a multi-tasking beauty product and what’s more, a matte finish that actually feels good. But fair warning: these are limited edition and with the holidays coming on, you may want to grab ’em while you can. I love last year’s Matte Fluid in 004 Luxury Red. It has good staying power, non-drying and just the perfect texture, in my opinion. So happy that this year’s colours are more appealing compared to last year’s pinks and purples. Can’t wait for our local counters to receive it. 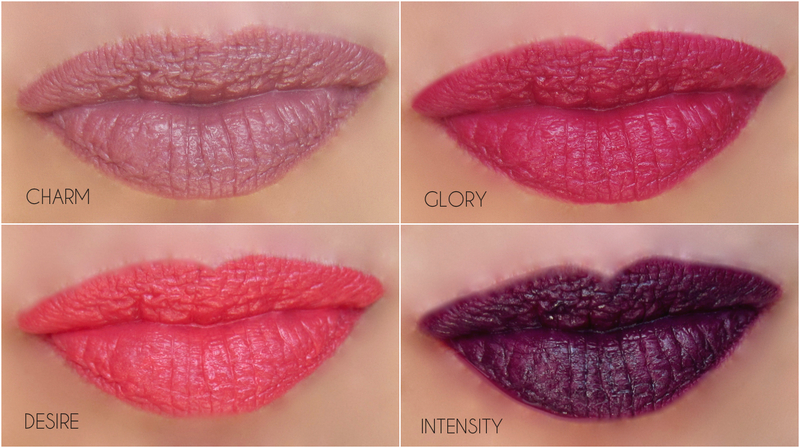 Eyeing Charm and Glory but not sure if Glory will be too close to Luxury Red. I’m starting to see these around and they look so beautiful! I’d love to try them out.